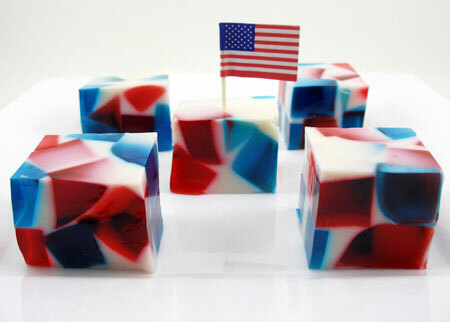 These yummy and colorful red, white and blue jello shots are known by different names. Some of the names are mosaic jello shots, broken glass jello shots, stained glass jello shots, shattered glass jello shots or confetti jello shots. Pour 1 cup of vodka into a bowl or container. Add the berry blue flavored Jell-O and let it stand for about one minute. Pour 1 cup of boiling water into the gelatin mix. Stir until the gelatin completely dissolves. 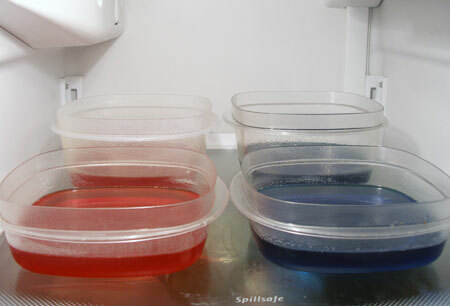 Pour the blue jello into two lightly oiled pans and place them in the refrigerator. Refrigerate for at least two hours or until firm. Pour 1 cup of vodka into a bowl or container. Sprinkle 2 envelopes of unflavored gelatin over the vodka. Let it stand for about two minutes. Add 1 cup of boiling water and stir until the gelatin completely dissolves. Pour the sweetened condensed milk and stir well. 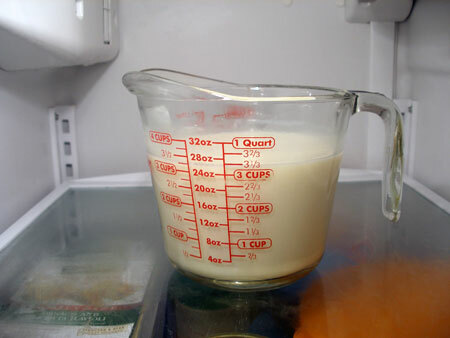 Place the white gelatin mixture in the refrigerator to cool down. 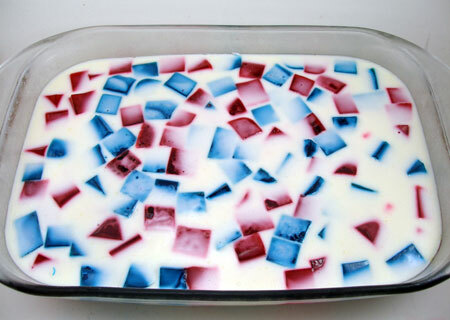 Unmold the red and blue gelatin. Dice both gelatins with a warm sharp knife to create small cubes. 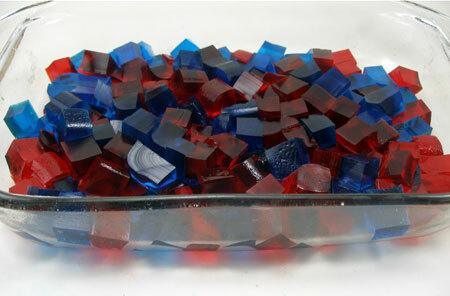 Randomly place the red and blue gelatin cubes into a 13 x 9 inch pan sprayed with cooking spray. 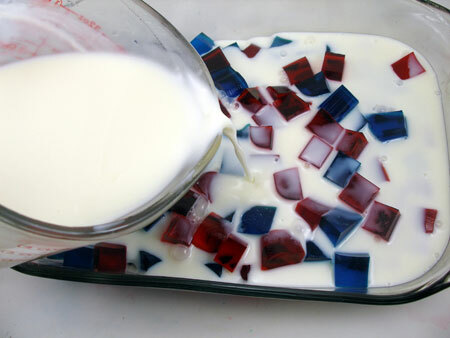 Once the white gelatin has cooled down, pour it over the diced red and blue gelatin cubes. Stir gently to distribute the gelatin cubes. Note: Make sure that the white gelatin is not warm. It will melt the cubes and stain the white gelatin. Place the pan in the refrigerator. Refrigerate for at least two hours or until firm. Once the mosaic gelatin sets, unmold it. Using a warm sharp knife, slice the gelatin to make cubes. Place the mosaic jello shots on a plate and serve.